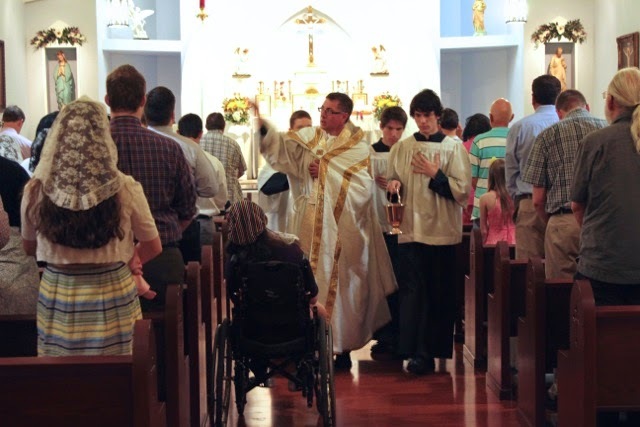 JACKSON – Una Voce Mississippi is hosting a priest and altar server training in how to celebrate and serve the extraordinary form of the Latin Rite (commonly known as the traditional Latin Mass) Sept. 2-5. This training workshop will be held in the parish center at the Cathedral of St. Peter the Apostle, and will culminate with a Missa Cantata (sung mass) Friday evening, Sept. 5. Father Scott Haynes and Father Anthony Rice of the Canons Regular of Saint John Cantius at St. John Cantius Parish in the Archdiocese of Chicago are facilitating the Sancta Missa Workshop. The Sancta Missa Program offers tutorials, regular training workshops, and other resources for priests and laity in the extraordinary form liturgy. In addition to priestly education and altar server training, there will be workshops focusing on Schola formation and the use of Gregorian chant in a liturgical setting. Scholas are specialized choirs that concentrate on the study and implementation of plain chant to support liturgies through music. Father Haynes is a native of Starkville and Father Rice is from Tuscaloosa, Ala. Both are looking forward to being home and sharing their knowledge with the Diocese of Jackson. Una Voce Mississippi is a Catholic lay organization, whose mission is to promote a restored sense of beauty and reverence in the church’s liturgy. In particular, Una Voce promotes the liturgical use of Latin and the sacred music tradition of the church, which the Second Vatican Council called “a treasure of inestimable value.” This tradition includes Gregorian chant and polyphony. For more information visit www.unavocemississippi.org or email unavocems@gmail.com. There will be a 6:00 p.m. 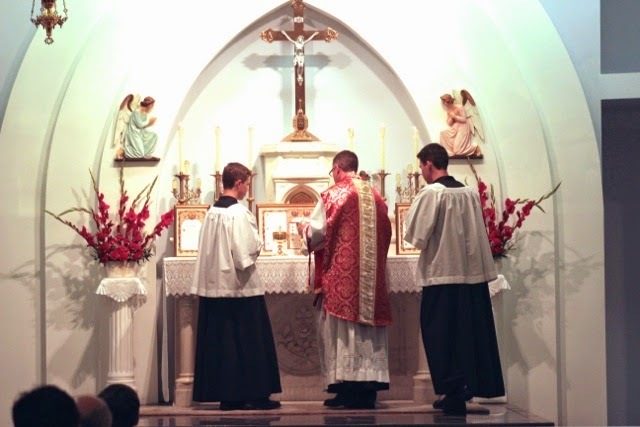 Traditional Latin Mass at Blessed Sacrament Catholic Church on Friday, August 15th. Blessed Sacrament is located at 1460 Pearson Avenue SW. Traditional Latin Masses will be offered at 10:00 a.m. and 5:30 p.m. at Our Lady, Help of Christians Parish on Friday, August 15th. Our Lady, Help of Christians is located at 1201 Kingsbury Avenue. The Blessed Sacrament Choir is looking for singers! If you or anyone you may know is interested in singing Gregorian Chant or other traditional liturgical music at a Latin Mass, please call the choir director, Eduardo Kortright, at 205.332.4835 or email him at ekortright@gmail.com. Choir practices generally take place each Sunday at 9:30 a.m. in the parish rectory and each First Saturday of the month after the 8:30 a.m. Latin Mass in the choir loft.